Capacitors, both small- and large-volume, are found in nearly all forms of electronic equipment. These components perform two vital actions in any electronic circuit: they store electricity, and they filter out direct current (DC) while passing through only alternating current (AC). Electrolytic capacitors are designed to store a larger amount of electricity, and they have polarity, meaning they have a positive side and a negative side. Electronics engineering standards stipulate that such capacitors be manufactured with polarity markings, so as to assist in proper placement of the capacitors into a circuit. Place your capacitor on a shop workbench or a table in a well-lit area. 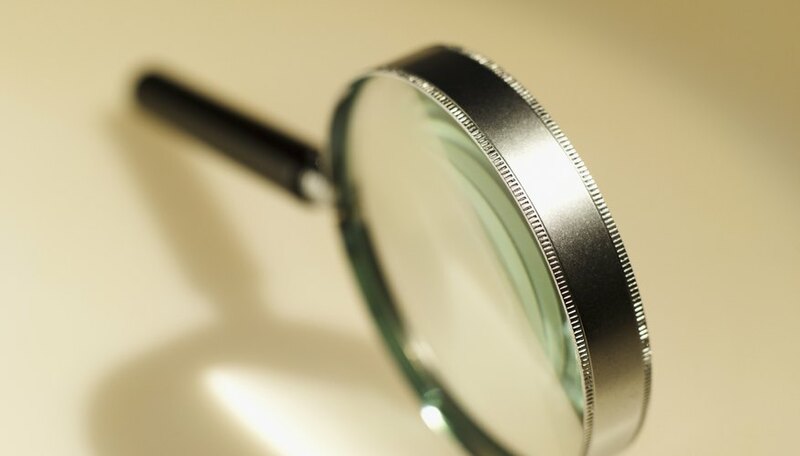 Hold your magnifying glass over the capacitor to magnify the markings on the external body of the component. Rotate the capacitor slowly while watching for the markings and graphical images on the capacitor. Some electrolytic capacitors have only the negative side marked, with symbols that look like minus signs, indicating the negative side of the capacitor. Some capacitors will have a white or a black stripe on the negative side. If you cannot find the minus sign but you are able to see a plus sign, you have identified the positive side. Look at the two wire leads that come from the bottom of your capacitor, and make note of whether one lead is shorter than the other. Some manufacturers deliberately make the negative-polarity lead shorter than the positive lead, which may also assist in easily spotting the polarity. Double-check the markings on the capacitor body, however, to verify that the shorter lead is indeed the negative side of the capacitor. Once you have located the polarity markings on your capacitor, be certain that you install it correctly. 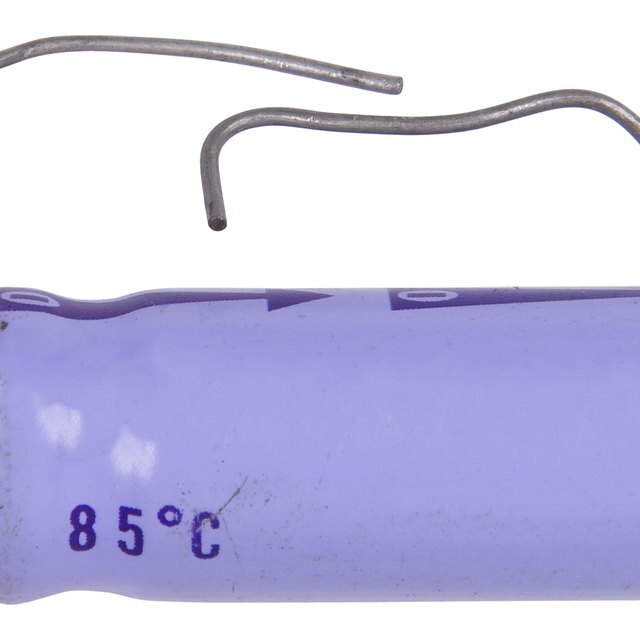 The capacitor will be damaged and may even explode if inserted backward into the circuit. Unless the capacitor is brand new, never touch both of the wire leads with your fingers, as some capacitors store a high voltage, sometimes for months, after a power source has been removed from them. Schanaman, Kurt. "How to Tell the Polarity of an Electrolytic Capacitor." Sciencing, https://sciencing.com/how-5935484-tell-polarity-electrolytic-capacitor.html. 07 August 2017.